ENGEN IBD ANNUAL AWARDS DINNER. 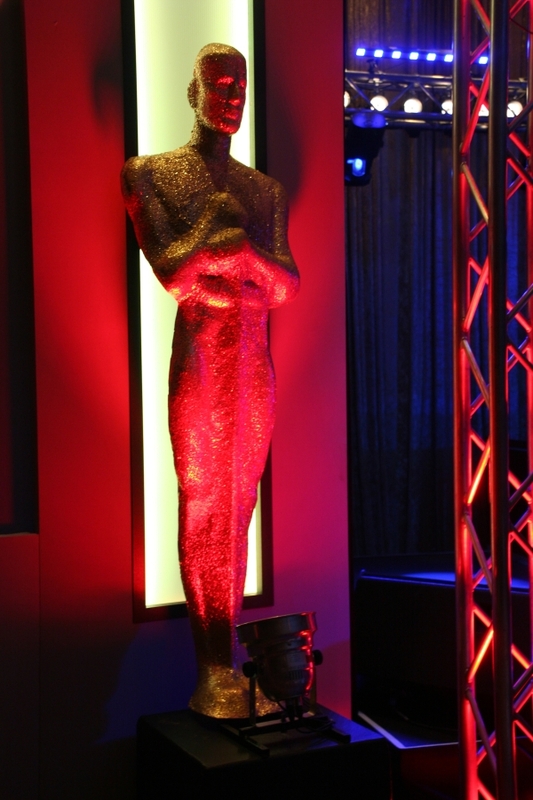 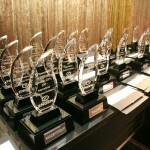 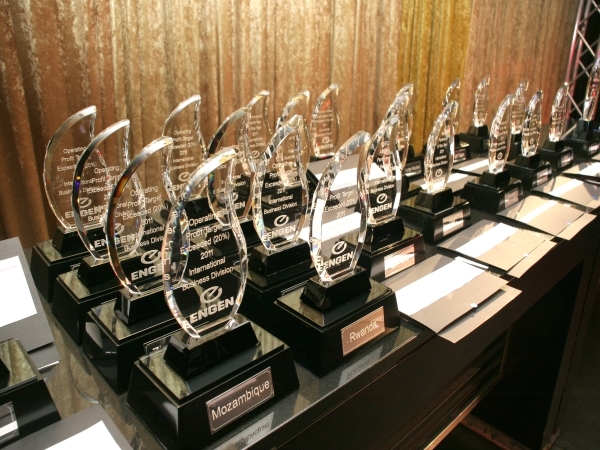 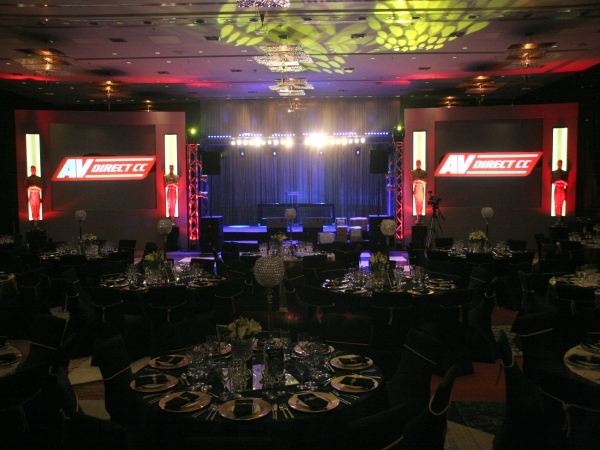 AV Direct was proud to supply technical support to the Engen IBD Annual Awards Dinner, held at the Westin Grand Hotel. The night included a stunning performance from the Guguletho Tenors, as well as, the brilliant comedian Nik Rabinowitz as host and MC for the evening. 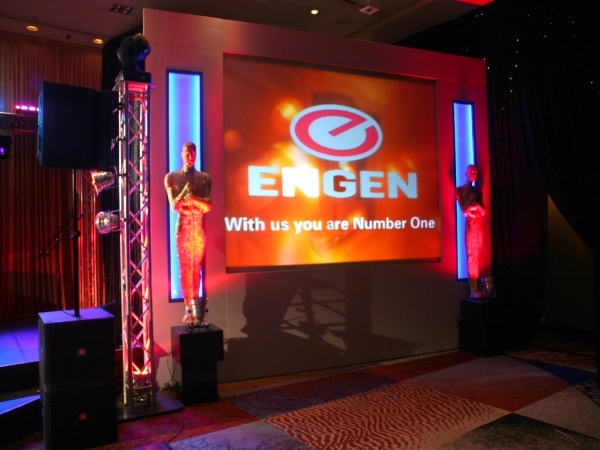 AV Direct supplied arch staging, stunning show lighting on truss structures and our modular recessed screens to create a beautiful set for the presenters and speakers. 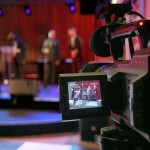 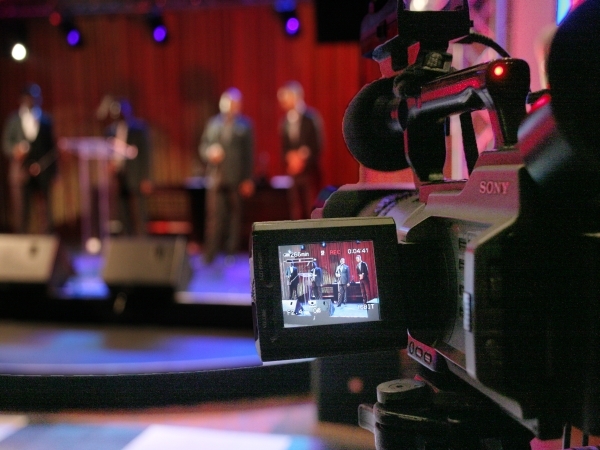 Quality Video Recording equipment was supplied to run the live feed from the show onto the screens, the show was recorded and can be viewed here. 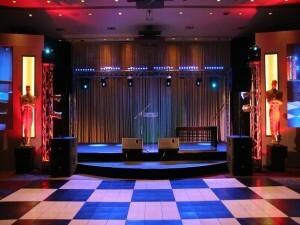 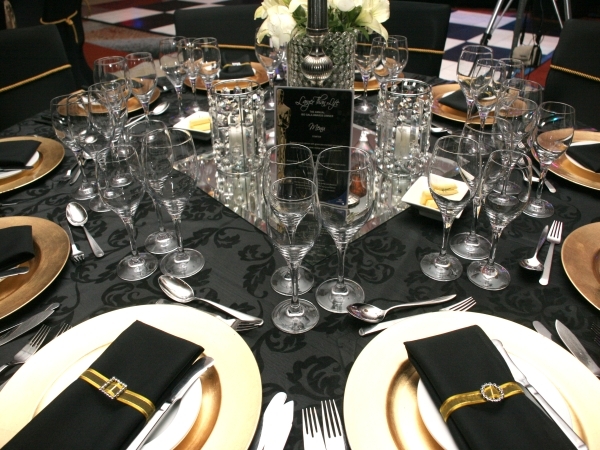 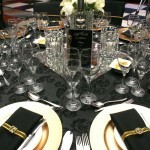 A black & white tempo-tile dance floor was provided for the guests who danced the night away. AV Direct also took care of all music and DJ requirements for the show. 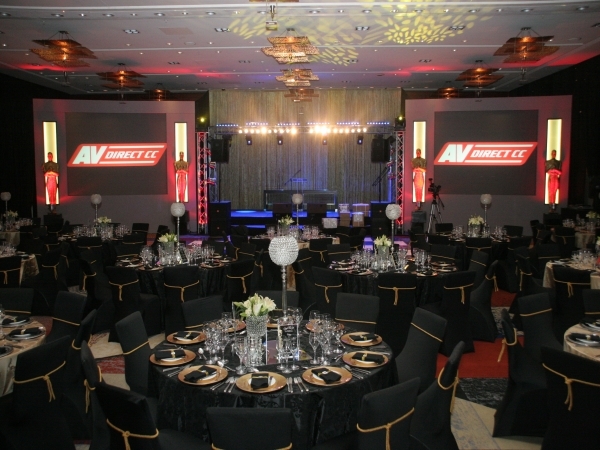 AV equipment such as Kramer Scalers and seamless switchers were provided, along the transmitters and receivers to our projectors to ensure all slides and video footage could be easily viewed and switched smoothly on the screens. The Guguletho Tenors were again absolutely superb and the guests were moved by their power and passion during their performance. 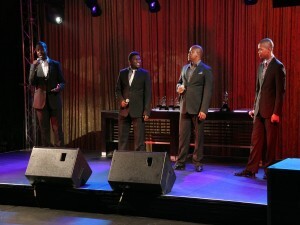 Catch a quick glimpse of them again here on our Youtube Channel. 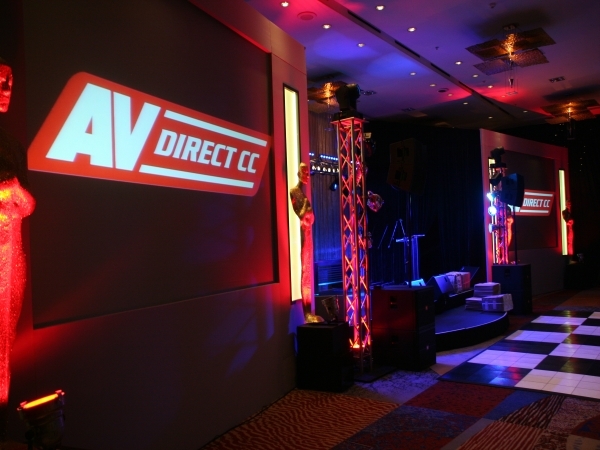 The night was hailed a huge success and once again AV Direct had exceeded all expectations in providing clients with fabulous set design, technical support and Audio Visual expertise. 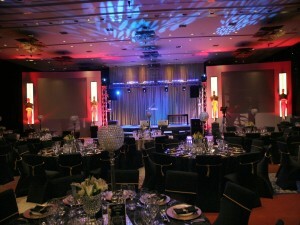 Well done to the crew for putting all together! 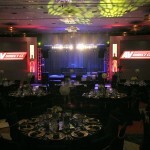 Here are a few more pics from the night, please click on them to enlarge!